This European Chateau epitomizes grand design. As you enter the beautiful estate, it feels as if you’ve stepped into a chateau in the South of France. There is a distinct air of refinement that doesn’t sacrifice the coziness of a home. You can picture the home being used for entertaining across countless generations. 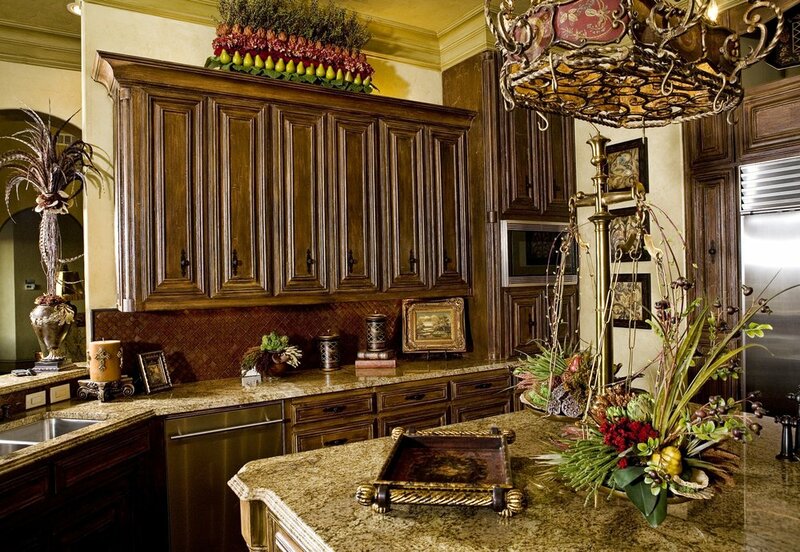 The warmth and richness of the colors, and the grandeur of the architectural details are absolutely spectacular. We deliberately designed this home around the concepts of family and entertaining. We wanted each room to have its own unique charm, but with a cohesion between rooms that creates an easy and inviting flow. We selected rich, ornate fabrics for the furnishings, window treatments, and beddings, and added velvets and silks to create a fresh flair. Lastly, we filled the home with incredible antiques, accessories, and art to capture the true European essence that the chateau demands. This home is truly a breathtaking masterpiece.